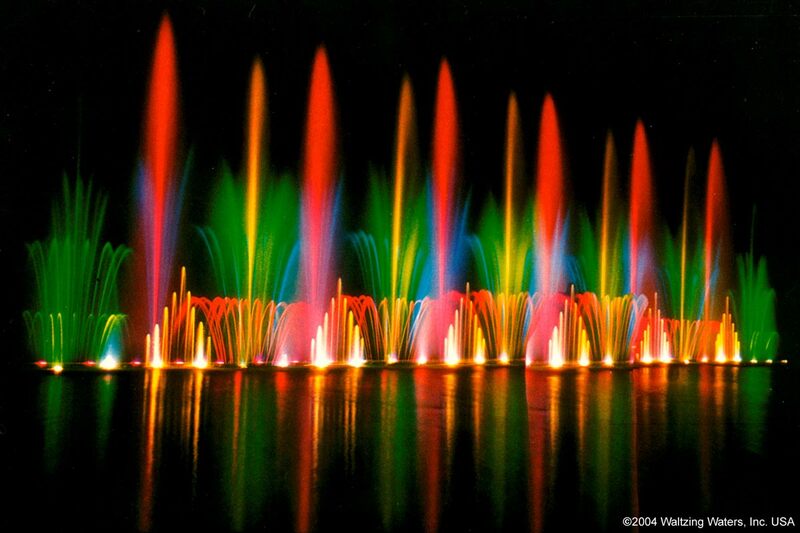 Liquid Fireworks are the industry leaders for musical commercial fountain systems. Whether your venue is indoors or outdoors, large or small, we have the solution for you. With over 70 years of experience, spanning three generations of our family, we have become experts in our craft and are the best people to buy from. Our commercial fountain system shows are bespoke and can be programmed to your specifications. Combined with music of your choice, our shows will transform you venue to a magical experience for your audience to enjoy and remember forever. The fountain “fireworks” are very reliable with little service needed once they have been installed and will run for months on end. The bright colours on our commercial fountains are achieved with state-of-the-art dichroic filters that are capable of colours 4 times brighter than ordinary fountain system lighting. This allows for the lights to be seen just as well day or night, rain or shine. 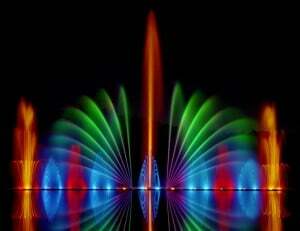 Our beautiful fountain systems always attract the attention of new customers, willing to pay to see the spectacular light show, meaning that this water feature will pay for itself! Whether your commercial venue is a shopping mall, restaurant, hotel, theme park or auditorium, our commercial fountains come in all shapes and sizes and can be adapted to any space. With clients such as Disney, Universal Studios and Sea World, it’s clear to see our family business is trusted for a reliable, competitively-priced and smooth customer service. We are commited to providing a service and product that is second-to-none.